Depart Tbilisi at 9 am. Kakheti is the region on the East of Georgia, known as a birthplace of Georgian wine and a center of traditional winemaking. Wine here is aged in “Qvevri” (clay pot) – this is a major and unique distinguishing element of Georgian winemaking that makes it different from any other methods in the world. 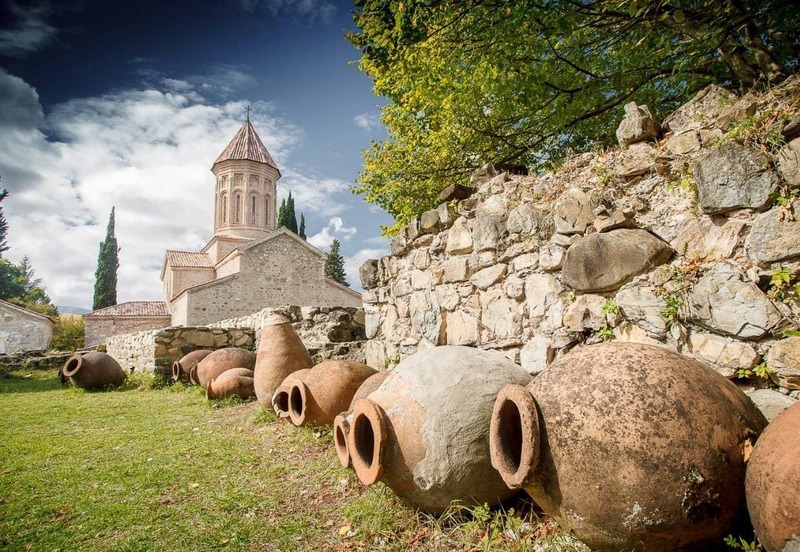 This one day wine tour to Kakheti will start with the visit to the family of Qvevri-makers. The small workshop acts as a guardian of ancient national tradition. Next stop will be in the village called Napareuli where you will visit the small private winery “Tkupebis Marani” (Twins Winery). Qvevri-made wine tasting and lunch will make you feel the spirit of this amazing countryside. Afler lunch you will drive to see the ancient fortress Gremi (XVI c.). Your final destination for the day will be a visit to the winery “Khareba” and its wine cellar called “Gvirabi” (Eng. – tunnel). What makes it different from other wineries in the aera is that its wine cellar is placed inside the massive chain of tunnels inside one of the Caucasus mountains. Return to Tbilisi. Upon receiving a request for this tour, we will be sending you the full tour itinerary with accommodation options to choose from.